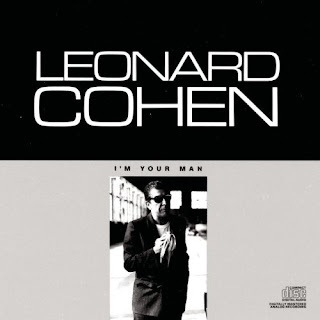 "Take This Waltz" is the dreamlike fifth song on Leonard Cohen's 1988 album I'm Your Man. Filled with evocative imagery and deft wordplay, the song's lyrics were adapted from "Pequeño vals vienés" (Little Viennese Waltz), a poem by Spanish poet Federico García Lorca. Cohen so admired Lorca that he named his daughter Lorca Cohen. Federico García Lorca was an influential avant-garde poet, killed in 1936 by Nationalists at the beginning of the Spanish Civil War. Irish punk band The Pogues retold the story of his murder in the song "Lorca's Novena," and British punk pioneers The Clash also mentioned his death in their song "Spanish Bombs." Recently, the Spanish Government re-opened an investigation into crimes against humanity relating to Nationalist violence during the Spanish Civil war, including Lorca's abuction and murder. Prior to the release of I'm Your Man, "Take This Waltz" reached #1 on the Spanish charts, as a single off the 1986 Federico García Lorca tribute album Poets in New York. Coming full circle, the song would later be covered by spanish singer Enrique Morente, who used the original words to "Pequeño vals vienés," in his 1996 version. You can compare the lyrics to "Take This Waltz" and the English translation of "Little Viennese Waltz," side-by-side. Some may prefer a more academic take on the musical significance of "Take This Waltz." Or you can read Cohen's thoughts on "Take This Waltz," in his own words. It could just be the english translation, but I've always preferred Cohen's lyrics to the original poem. Not speaking spanish, I have no way of knowing if the poem's words themselves equal the haunting feeling of "the pools that you left on your wrists". It becomes even more stark when comparing: "There's a shoulder where Death comes to cry" to "A shoulder for Death to cry on". Amazing how a few little changes can completely alter the feeling of a line, and leave the literal or semantic meaning untouched. Agreed. I'm sure the Spanish translation is far more elegant in the original language (these are both accomplished poets), but it's always striking to see the difference between translated passages of all kinds. I'm reminded of the brouhaha over the American release of the Swedish vampire flick Let the Right One In. The American distributor seemed genuinely perplexed by the idea that anyone could care about the difference. After all, the translation was technically accurate. What was the problem? Actually looking at the lyrics reveals not only did I make a mistake in my hearing with "pools that you left/lift on your wrists", but also "take its broken waste/waist in your hand". That's one of the things I hate about official lyrics. As much as I love Cohen's imagery, I thought him even better partially because of these lines, when I misheard them. Not that I'm disappointed, or arrogant to think that they're inherently better, but for me, they have deeper meaning, and I think I'll continue to hear them this way. I doubt he'll mind. I'm always surprised by the number of lyrics that I just plain don't catch, even though I've heard the song a hundred times. Witness: "The hyacinth wild on my shoulder" or "Ah, but who is it climbs to your picture (with a garland of freshly-cut tears)." Great lyrics, and now I can't believe that I've never really heard them before. Care to elaborate on what you thought it was? My point is sometimes the misheard lyric is more poignant than the real deal. These were lyrics I just didn't hear: they kind of blended into the songscape. That's what I found so surprising: these were lyrics that I'd heard a hundred times, but never actually caught the words. I suppose that's what I like about seeing printed lyrics: little undiscovered gems of songwriting that you didn't know you'd missed. Of course, I think that's the one of the fascinating thing about lyrics: they add to music, but aren't essential. Like songs in a foreign language that you don't speak: listening to them can still be a powerful, deeply affecting experience. Who among us can say they weren't touched by Nena's classic 99 Luftballoons? But that's a whole different post. Or how about lyrics that are so mangled with accent that you think they're another language but are not?